For years his songs have danced on the radio waves. Cassette tapes were played on long road trips so many times the ribbon wore out, all of his hits were essential on any CD mix, and his songs have now been downloaded countless times. He’s an artist who has no expiration date and now he’s coming to the Niswonger to perform as part of his famed and intimate acoustic tour. 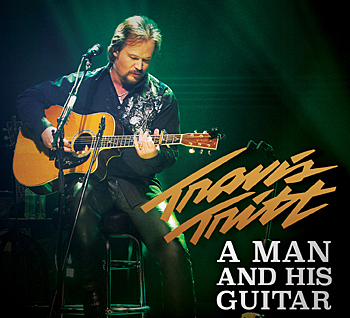 Country legend Travis Tritt, presented by First Federal of Van Wert, will come to Van Wert with a six-string in his hands on Saturday, March 2, 2019, at 7:30 p.m., and tickets can be purchased starting today. His hit list is nearly endless. For years, Tritt has been touring the country playing acoustic shows, and the naked context of his music has done nothing but elevate his legacy in the minds of those who’ve attended. Tritt’s “Greatest Songs” playlist includes “It’s All About the Money”, “Where Corn Don’t Grow I’m Gonna Be Somebody”, “Lord Have Mercy on the Working Man”, “Country Club”, “Here’s a Quarter”, “Best of Intentions”, “Help Me Hold On”, “Whiskey Ain’t Workin’ Anymore”, “It’s a Great Day to Be Alive”, “T-R-O-U-B-L-E”, and “Modern Day Bonnie and Clyde”. Tritt will provide a country reunion at the Niswonger as he celebrates hits that spanned two decades. This special evening with the CMA and Grammy Award-winning country artist is showcased in an intimate solo acoustic setting where his powerful voice and guitar are the subject of the spotlight. This up-close and personal event is punctuated by personal stories and anecdotes about his life and musical influences. Along with Presenting Sponsor First Federal of Van Wert, Supporting Sponsors include Mercer In-Sight Family Eye Care and Van Wert Family Eye Care, Mercer Landmark, and US Bank. Season Sponsors for the Ignite 2018-19 season include Chuck and Karen Koch, StateWide Ford Lincoln, and Van Wert Federal Savings Bank. Tickets for the concert can be purchased through the Box Office, from 10 a.m.-5 p.m. Monday through Friday, in person or by calling 419.238.6722, and online at NPACVW.ORG. The Niswonger Performing Arts Center is located at 10700 Ohio 118 on the south edge of Van Wert.